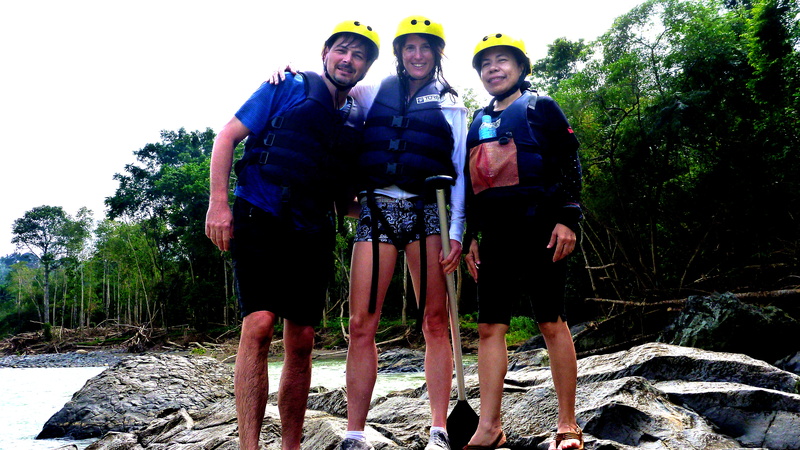 I was looking up viewing the mountains, green trees and the surrounding cliff feeling the breeze on my face, when the guide’s voice rang out, “Forward, one, two!” Thirty eight days after Storm Sendong hit Northern Mindanao, I went river rafting alone. 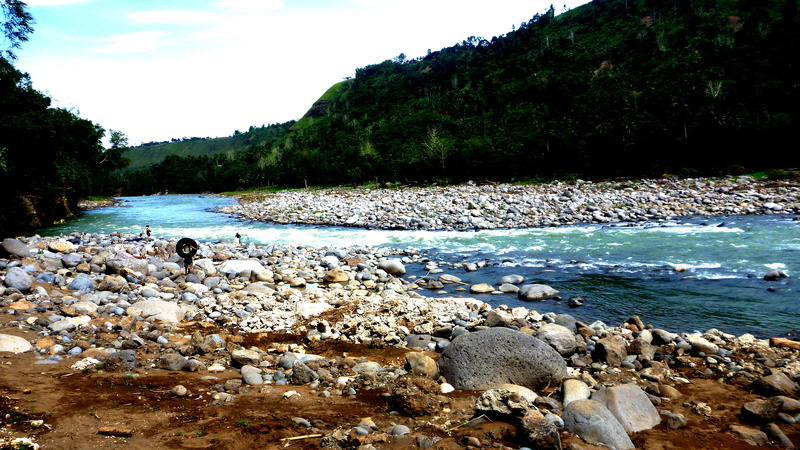 There is that gnawing feeling to visit once more the long, winding river that gave fame to CdeO for the river rafting. I wanted to see how it looked now after being overrun by the flash flood from Bukidnon mountains. I wanted to know her again after she suffered and survived the violent and furious storm. 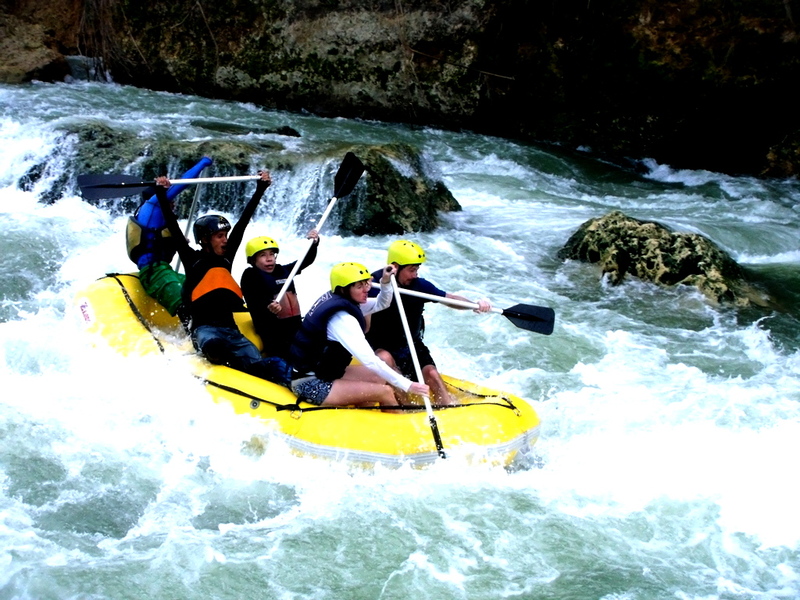 Just three days after the tragedy, I got SMS from Eco-Extreme Rafting that reservations are accepted already for rafting. Though I wanted to do it in the last days of December to beat my timelines, my mourning for the calamity overrun my schedules. I was joined with Czech nationals (Patricia & Karir) in a smaller boat, after the guide convinced them to join us in the advance course. They were originally booked for beginners, but the other group guests wanted to be in one boat all seven of them. I found it so good, we were not crowded and we had a paddler aside from the guide! So we started at Uguiaban bridge in Talakag, that same old feeling of rush for the rapids came again. At first sight, there’s nothing much changes in the uppermost area but going down the bend was different. Much of the boulders were washed away downstream and thrown on the banks, there were lot of changes in the topography. There were areas having rapids before but now gone silent as it became deep. There were rapids that have gone smaller and were not as enthralling as before. At the river banks – houses were gone, vegetation uprooted, trees including agricultural crops were washed away. Boulders are thrown in the banks, some portions of the river gone narrow and some got wide. Landslides can be seen in the mountain sides. We passed three bridges that was totally destroyed, undoubtedly affected the community traspo needs. 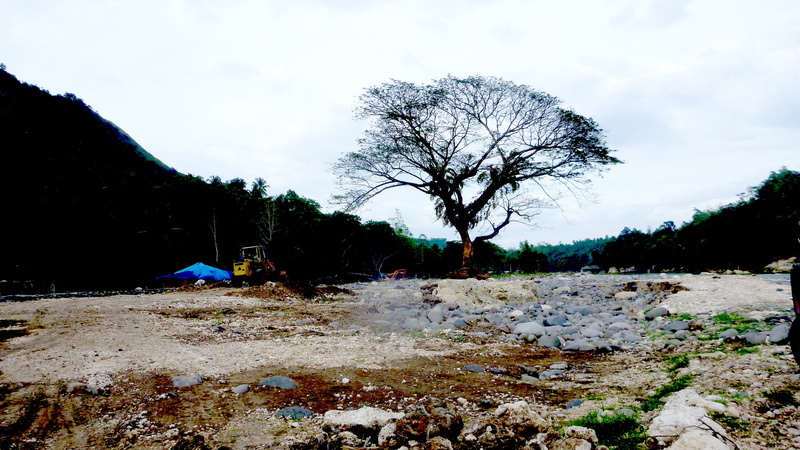 The port of starting point for beginners course was destroyed, the restaurant and entertainment facilities at the end point in Mambuaya was totally gone. It was heart rending actually, but was grateful that the river is still vibrant – the sound of its gushing waters was too reviving. I still notice few bird species hovering the area – brahminy kite (banog or the lawin), herd of balinsasayaw and a blue kingfisher. It was consoling that the river is still life-giving, an inspiration and a wonderful landmark for this beloved city. After more than a month, the green grass along the river bank have sprouted which is a sign of hope for me. The river will flourish once more, the tragedy forgotten as the days roll by. The adrenaline rush was pulsating no doubt, not only for me but also for other guests. And what a wonderful variation when in the third to last of the rapids – in the beginners run was class IV rapids! Yes, a class IV when it was only class II before. The guide encouraged us to hurdle it and we were enthralled! And right, we made it with no fear but much in high spirits. In every run, my all consuming objective is not to be thrown out to the waters – the table top and Class IV rapids was a good test. Well, it gave me a good reason to aim for the extreme course in my future runs. 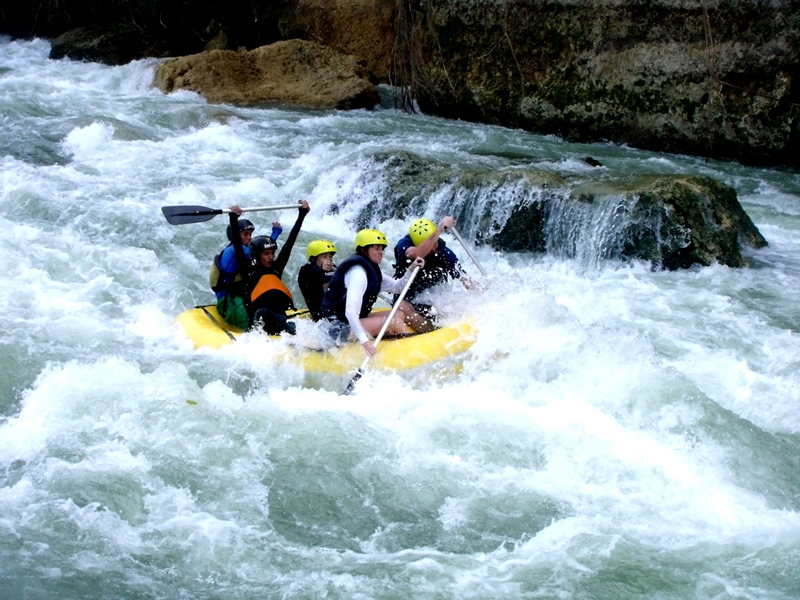 The never ending thrill for the white waters will keep me coming for the gripping rapids in Cagayan de Oro river. It’s a promise!